November 9, 2018 Phaisit Trakulkongsmut, M.D. 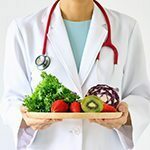 Health enthusiasts who love to eat vegetables tend to worry that the vegetables they purchase at fresh markets may have been contaminated with toxins, especially mass-produced vegetables. Growing veg at home can be a form of exercise, as you stretch and extend your muscles to water, arrange soil and harvest your crop. In recent times, large numbers of city dwellers have become increasingly concerned with their health. Indeed, many people now place importance on regular exercise while others are careful with the food they eat. Health enthusiasts who love to eat vegetables tend to worry that the vegetables they purchase at fresh markets may have been contaminated with toxins, especially mass-produced vegetables, such as long beans, kale and cabbage. Additionally, vegetables that are easily grown at home could also contain chemicals, for instance, bird’s eye chili and holy basil. Growing your own vegetables is definitely worth thinking about, as they are guaranteed to be safe. However, due to the fact that many of us reside in places where outdoor space is at a premium, it can often be difficult to find a place to grow a crop. However, it is actually possible to grow your own vegetables without much difficulty: by growing crops vertically in a small space on a balcony. Suitable for those without much space, hanging pots should be hung from above. Start by cutting a plastic gallon bottle in half. Give it a thorough rinse and use the bottle neck half to fill with soil, as this will be where the crop will be grown. Hang the bottle so that its neck is facing downwards. Use the upper, cut section to thread a string through to hang. Then, find another bottle and pierce a hole in its lid to use as a watering can, saving you time and allowing you to harvest any crops easily. This is a simple way to grow vegetables vertically. Just cut holes in a piece of wood, according to the size of the pots you have available. Place the pots inside the holes and plant the veg you desire. Finally, secure the system to a wall for a beautiful vertical garden. Use various sizes of cans and pierce holes in them for a cool way to grow your veg. If you have time, you may want to spray-paint the cans or write the names of your crop on the cans’ sides. Not only will you have your own supply of chemical-free vegetables, you’ll also have a cool feature to show your friends. Living in a condo? Then why not grow your veg in a condo style! Organize your pots or containers with the largest ones at the bottom, followed by stacking the medium sized on top of them. Then, carefully place the smaller ones at the top in a formation which allows for growth at each level. Finally, select the crops you’d like to grow and plant them on each level. Popular crops include coriander, morning glory, bean sprouts, spring onions, chilies and holy basil. These types of vegetable can be grown over a relatively short space of time and can be used in the making of a great number of your favorite Thai dishes. Your food will taste even better than ever because of the confidence you gain from knowing that your home-grown veg is free from all forms of chemical. Furthermore, growing veg at home can be a form of exercise, as you stretch and extend your muscles to water, arrange soil and harvest your crop. This is a type of outdoor exercise that doesn’t require as much time as a run in the local park, and doesn’t need to spend money on a gym membership. Nevertheless, you should also partake in additional exercise to strengthen your immune system and keep illness at bay. Regular exercise means at least 3-5 sessions per week, with each session lasting around 30-45 minutes. Be careful to select the form of exercise most suited to your age and gender, keeping in mind that the exercise should not be too strenuous. 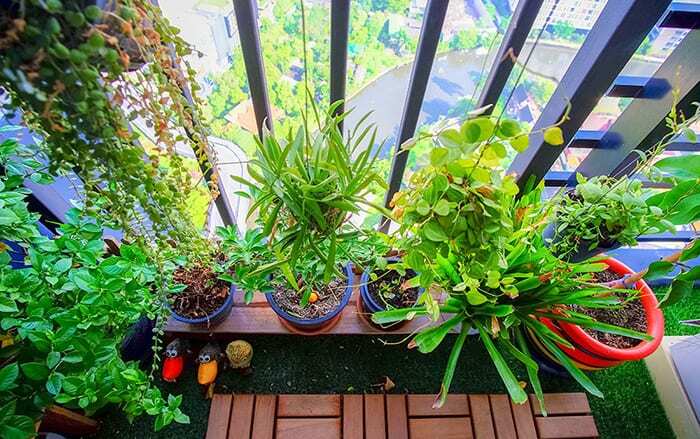 When you see your balcony full of green vegetables that you’ve grown yourself, exercise inside the home will cease to be a boring activity that you wish to put off. Good Health Can Start With Growing Your Own Veg at Home Growing veg at home can be a form of exercise, as you stretch and extend your muscles to water, arrange soil and harvest your crop.